AMD’s Ryzen 7 launch earlier this year went off pretty much without a hitch. A lot was riding on it, considering that before this, AMD hadn’t managed to put out a CPU worth getting excited about in nearly a decade. The Ryzen 7 family targets relatively high-end buyers, and we were promised that the Ryzen 5 and Ryzen 3 lines, with fewer cores and lower speeds, would follow in due course. So far, the company has kept all its promises, and so we now have with us a Ryzen 5 1600X CPU for review. This is the most powerful and highest priced of the four Ryzen 5 models currently available. It is carefully calibrated to take on Intel’s Core i5 CPUs, hitting them in their biggest weak spot. The target audience is mainstream users and enthusiasts who want it all, but who still see the merits of saving money where they can. We’re going to see how it stacks up against the mighty Ryzen 7 1800X which we tested at launch time, and whether Intel should be worried about losing its grip on this extremely important market segment. The Ryzen 5 lineup is based on the same Zen architecture as the Ryzen 7 models, and we have a complete guide to all the underlying technology and the AM4 platform for you to read. In short, Zen is an all-new design which targets power and efficiency, and pulls off a stunning 52 percent improvement in performance compared to previous offerings. 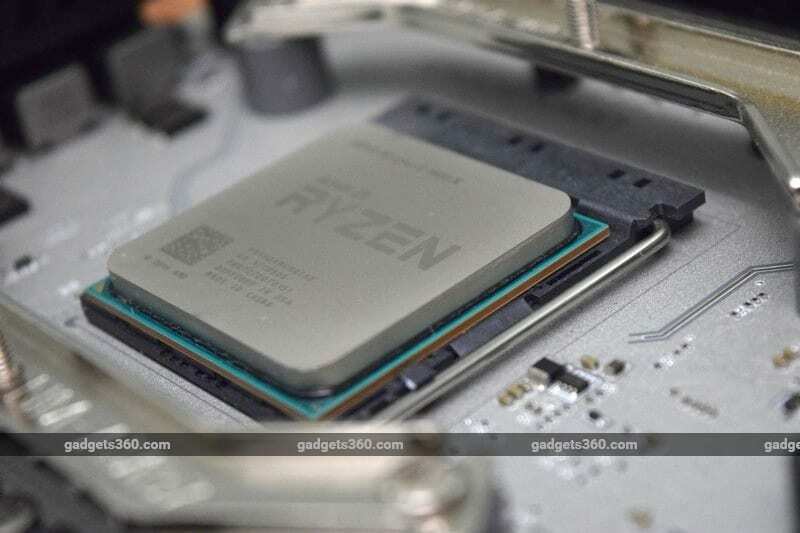 AMD has been very clever with its design choices, particularly the use of a scalable interconnect called Infinity Fabric and modular core complexes which allow Ryzen models with different numbers of cores to be manufactured easily. All Ryzen 7 and Ryzen 5 chips have two core complexes, with four physical cores each capable of executing two threads at once. Ryzen 7 models have eight working cores, whereas Ryzen 5 models have either four or six, with the rest disabled. This is an industry-standard practice called binning, and it allows AMD to ship processors which might have minor defects in specific areas, or simply disable functioning logic to meet market demand at any given price point. The six-core Ryzen 5 1600X has three active cores per complex, and quad-core models have two each, rather than a single complex with four active cores. AMD has chosen to scale cores and threads evenly across all current offerings, while Intel uses the presence or lack of Hyper-Threading to differentiate between product tiers. The entire desktop Core i5 series consists of non-Hyper-Threaded quad-core models, which now look extremely weak against the Ryzen 5 1600X with its six cores and twelve threads. AMD knows very well that this is a massive market disruption, and is happy to point out that lots of games and productivity tools these days are able to take advantage of more than four threads. In the best-case scenario, according to AMD, a Ryzen 5 1600X should be able to outperform a similarly priced Core i5-7600K by a staggering 69 percent. The Ryzen 5 1600X has a base clock speed of 3.6GHz and a boost speed of 4GHz, which you might notice is exactly the same as the Ryzen 7 1800X – the main difference here is that you get two fewer cores. However, you still get the full L3 cache complement, which is 16MB. TDP is rated at 95W which means that AMD has also calculated the same thermal headroom as the Ryzen 7 1800X. That comes into play because of AMD’s XFR feature, which means that this CPU can push itself beyond its 4GHz clock speed ceiling if its sensors report that temperatures are consistently low enough. AMD says that this is a way to “reward” those who use powerful CPU coolers – i.e. enthusaists. For the same reason, this processor doesn’t come with a cooler of its own when you buy it in retail. Ryzen 5 CPUs work with the same motherboards as their Ryzen 7 siblings, collectively known as AM4 because of the AM4 socket that’s common across them. You can choose from the overclocker-friendly X370, mainstream B350, value-focused A320, or the upcoming small-form-factor X300 and A300 platform controllers. There are far more choices in the market now than there were at the time of the Ryzen 7 launch, so you can have your pick of models from Asus, Gigabyte, MSI and ASRock. 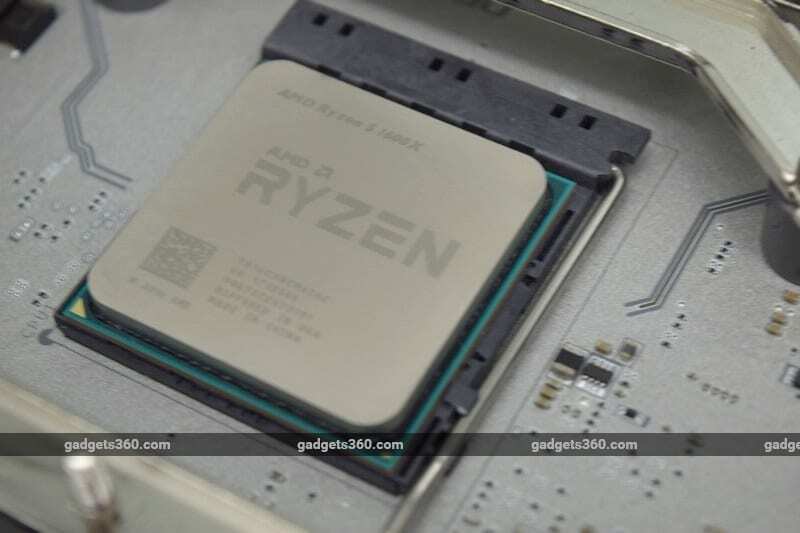 AMD pits the Ryzen 5 1600X directly against Intel’s Core i5-7600K, and in India it’s roughly Rs. 1,000 less expensive. However, one big thing that you don’t get is integrated graphics. Most enthusiasts will use a discrete graphics card anyway, but an integrated GPU doesn’t cost the end user anything, and is at least something to fall back on.